One day this will be a picture book. One day a child will read my story and share a confetti moment. One day I hope you read my story and know you are making a difference for every student in your classroom. One day my life changed when I found my love for books. Before I start, I want you the reader to know I share this because I want to help any person who can benefit from my story. This is hard to share, but I feel empowered to let you know that EVERY STUDENT CAN BE SOMEBODY! Lets rewind and give a little background into my life. I grew up in a lovely home with two educated parents. My mom was a high school English teacher for 30 years. My father has been in business my whole life. I have two older sisters who skated through school with almost perfect GPAs. Yes, they had to study, but I had TO STUDY. School was always seen as a glorious entity that we all cherished. There was always talk of universities, careers, and the future. When I was in 2nd grade, I told my family at dinner one night, " I WOULD LIKE TO ANNOUNCE: I AM GOING TO BE A TEACHER!" Books sparkled all over our home in special places where I would leave them. I had models in my life who showed me books were magic. Weekly trips to Rakestraw Books, the yearly Scholastic Bookfair, and local libraries were my FAVORITES. My mom read picture book after picture book to me. A childhood favorite was The Wonderful Pigs of Jillian Jiggs. We got different chapters books and I would painstakingly read them to her. Then she reread my disaster and we discussed what happened. Those times were so special to me! To this day my mom tells me, "It wasn't that you couldn't do it: you just needed time." These were my favorite times as a kid.... the times where books were involved. I was never the first to tie my shoe, write my name, read fluently, or know my times tables. Strriiiiickkk I would read instead of correctly pronouncing the word stick. Sometimes words looked totally different than what was on the page. My mom sat for hours helping me each night to get my homework done, and I cried and cried because I knew I was not like everyone else. I told her "my brain just can't think. It is like it's empty". If I could get paid in books for how many times I said I was tired, my library would be triple. Of course I wasn't tired, but work was HARD! As a kid, I got pulled to go to the resource room to practice reading comprehension. It was in a very nice trailer next to the music and computer rooms. My resource teacher was a jolly man who went by Mr. T. I went to "this room" all the way until high school. Like most resource students, I had a battery of tests given to me over the years that pin pointed my challenges as dyslexia and an auditory processing disorder. On top of that, I liked donuts too much, and the baby weight never came off. Luckily, my social skills were off the charts. One of my favorite stories from my testing career was when I was young. It is embarrassing, but we are best friends now, right? I have to share it! When I left "the room" I had many tutors for math and reading. I always had a positive attitude about learning. I did A LOT of memorizing to just to get through tests. 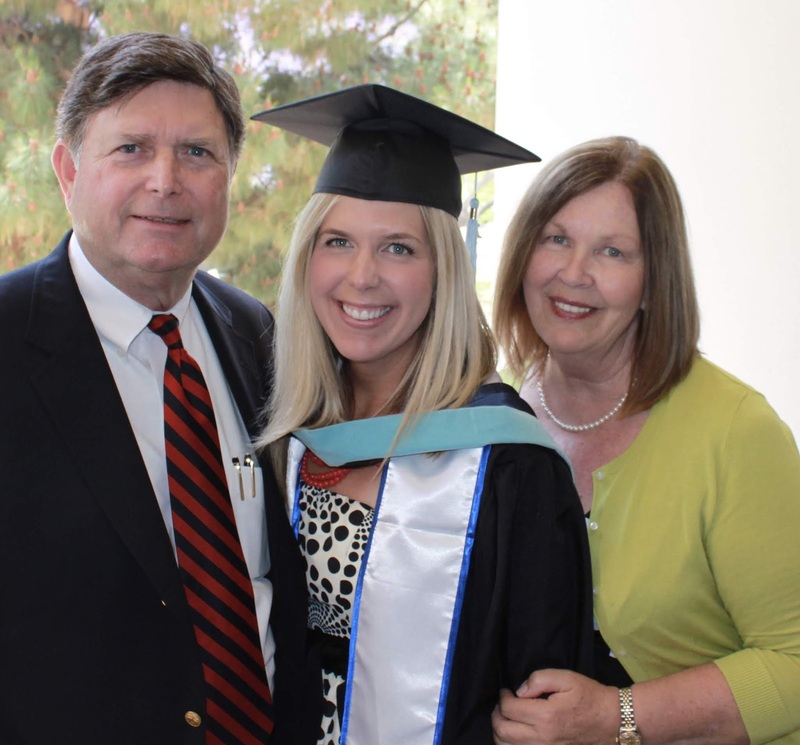 My parents empowered all of us to have a positive mindset even when something was hard. Believe me, I wanted to give up many times! I had a teacher in high school who told my mom I was not smart. Can you imagine saying that to a parent now? The horror! Even typing it I get so mad! Luckily, I was taken out of her class and placed in another class where I had more support to work on my math skills. Fast forward to college application time. Y'all, I had low self esteem and the only thing I wanted to tell the world was I got accepted into a 4 year university. The thought of saying I was going to a community college made me feel so small. I had nightmares over this starting the second day of junior year. I prayed with my family for the right answer. The answer came to apply to a small liberal arts college in Illinois. I followed God's direction and applied. Two months later, I received an email that read, "You must have a full year of geometry before we can further review your application." My heart melted. I was so close to going to a four year university, but this road block kicked me to the ground. I cried and cried. I went and met with my counselor and explained the situation. FLASHBACK: Remember when I was taken out of that one class my junior year? YEP, it was geometry. As I was sitting in my counselors office, our angel assistant principal peaked her head out of her office. Long story short, this angel let me take the whole year of geometry in summer school. I had a stellar teacher. He taught me all about proofs and every time I spelled angles wrong he never said I wasn't smart. #angels Just a teacher tip: if your student is dyslexic, pick a different battle if they spell angles like angels. At the end of that summer, I passed geometry and actually understood proofs! I was able to give my transcripts to the college of my dreams. Then the communication went silent. I mean SILENT! Until.... March 4th at 4:31. The house phone rang. On the other side was a nice lady who asked if Courtney was home. I replied and the next thing I knew I was going to a 4 year university. I WAS GOING TO COLLEGE!!!!! "Presenting Courtney Hinshaw as she will be attending a 4 year university in the fall" a man in a dark suit announced at the National Charity League Senior Presents. I was beaming! I mean beaming. In my heart, I had made it. I was going to college like everyone else in my circle of friends. I felt like an equal. As a teenager, this was huge. One bright and early morning in August, we flew to St. Louis, Missouri where I embarked on my journey to college. I couldn't believe it! I was no longer the resource kid. The fight inside of me was burning, and I was ready to take this on the next four years with no problems. Welll..... life is funny isn't? Being away from home meant no family close by , a free range of food, and lonely nights. As much as I wanted to be a 4 year college student, I had to be true to myself. I had gained a ton of weight, I was not fitting in, classes were beyond hard, and my grandma passed away 2 days before my sophomore year. I remember calling my parents sobbing one night in November and saying, "I made a mistake." This is too hard and I need help. Y'all the tears were big! I have never felt this sad and alone. I had to come home. I was embarrassed, but I knew God had a plan for me. He always does. Right before Thanksgiving break, I packed my entire dorm room and shipped back 15 boxes that belonged to me. Now if you do not know, I am an extreme planner. On the flight home, I was already thinking what to do. The local community college would be starting in January for their winter session. The next morning, I called and set up an appointment with a college counselor. I was ready to try again at a pace that was better for me. THIS WAS ONE OF THE BEST DECISIONS OF MY LIFE. I attended the local community college for 2 years and had a hard, but rewarding experience. One story that sticks out the best in my mind is from my Math class. As you might remember math and I aren't the best of friends. In fact, reading and I get along better. Before I tell you this story, I literally had to tell my math tutor she couldn't go into labor until I went into my final. I needed her tutoring until the last possible second before my test. Have you ever had a teacher who pushes you so hard, but in the end you learn more than you thought? Welcome to Mr. Summer's math class. If you did one step in the process wrong, the problem was wrong. My mom was even frustrated because she saw the tears build after every test that would come home with Ds. She reached out to a family friend for support, and the friend mentioned maybe college wasn't for me. I had over heard that conversation that night, and felt defeated. My mom totally disagreed, but the thought that this might be a reality, crushed me. Maybe she was right I thought to myself. That little light inside of me from all the years of my parents and teachers telling me YOU CAN DO IT made me keep shining. I had to practice and practice and practice for every test. My parents and I laugh that we bought my tutor's entire designer bag collection. I had a tough time in class, but I learned. The final exam came (don't worry my tutor didn't go into labor until 2 days after the final) and I took in every question and gave my best effort. That night I received a call from the professor who shared with me I had received a B on the final. PRAISE ALL THE ANGELS!!! Having the professor call me at home gave me all the confidence in the world to keep going. I had a wonderful rest of my time at the community college, and now it was time to decide where to transfer as I had finished almost all of my GED courses. I called the University of Arizona home for the next 2 years where I received my degree in Elementary Education. 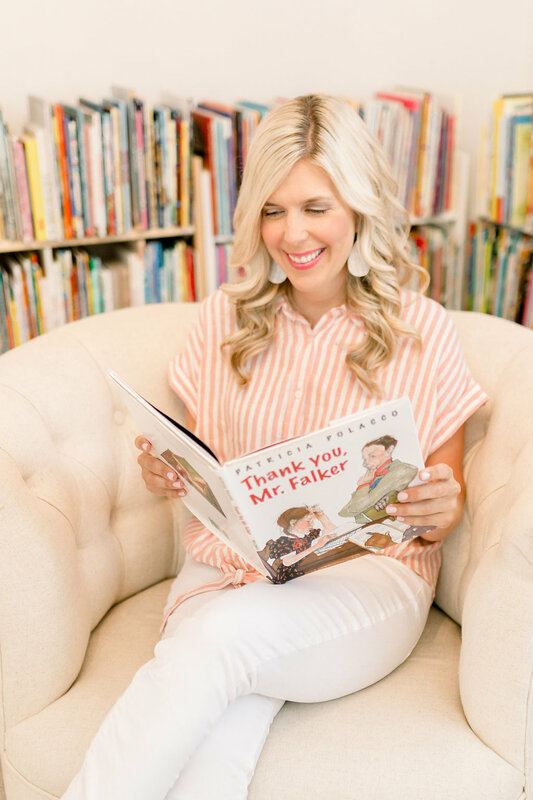 During one of my first few weeks at UofA, I found Thank You, Mr. Falker by Patricia Polacco* at a local bookstore. As I read down the page, I saw myself. I saw this little girl who wanted to be like everyone else, but wasn't.When I found out this story was about Patricia Polacco, my very first confetti moment happened. I remember calling my mom and telling her everything was going to be alright! When you know your passion, do it! Education classes were my favorite. They were hard, but I was able to do it! I was able to share my love and insight into something that so greatly described me as a person. It was time to start looking for my first teaching job! I was fresh, excited, new, and ALL the things. There was an opening at where I student taught. My dad flew over and went shopping with me to get my first interview suit. Probably one of the best days of his life getting his youngest an interview suit. Want to know a little more about my opinion on dressing like a teacher? click here. I had an interview on a Tuesday at 4:20, and yes I still remember the time. Fun fact: that is actually a perk of someone who is dyslexic: our long term memory is stellar. I interviewed for the 4th grade position. Two days later, I received a phone call from my principal offering me the position. I accepted. I taught at this school for two years. This experience will forever be in my heart. The little girl in the picture is now in college and we still keep in my contact. 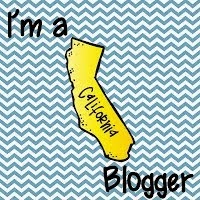 While I enjoyed Arizona, it was time for me to come home to California. Since California was going through a recession, there were no jobs. Even though I told everybody I needed at least 5 years before I opened another textbook, I went and applied for my masters in Reading Education at California State University, Fullerton. It was time for me to give back. I wanted to learn how to help kids in reading and share my love of reading with elementary children. While I was getting my masters, is when RAMONA RECOMMENDS was born. On November 11th, 2013, I posted my first instagram photo on @ramonarecommends titled, "Welcome to Ramona Recommends". I did not really know what I was doing in the beginning, but I did know how much I love children's literature. If you are interested in why it is called, Ramona Recommends hop on over to read all about Ramona and Beezus. As you can imagine, I was itching to get back into the classroom, but California had a different plan. Since there were no teaching jobs, I applied as an instructional assistant in a near by district. I was offered this position to work with 5th grade. While IAing, I worked on my masters, ran Ramona Recommends, and tried to stay positive about not having a teaching job. There is something to say for being humble when you use to teach and now you are fixing 1,001 paper jams on the daily. I have so much respect for instructional assistants because they work so hard! My master's was almost over, but here came the Composition Exam. Oh boy was I stressing!!! Luckily there was a class to prepare us, but I needed extra help. I did not want anyone to know. Again, even though I had come so far, I was still embarrassed and thought I wasn't smart. Each week in my last trimester of CSUF, I drove up to the Reading Center where I was tutored on how to take the exam and practiced sharing my knowledge. The tutor and I worked through each paragraph. It was really helpful. If you are unsure about a comps exam, it is a 2 hour test that you take on site about everything you learned from the program with no notes. Prior to this day, you also write a paper using books and research and turn it in the morning of the on site exam. Examiners grade the essays and then you receive an email about 2 months later with test results. I will never forget April 16th. I was sitting on the floor of Party City buying glasses for my upcoming graduation party when my phone dinged. The moment was here.... I opened the email and was elated when I read, YOU HAVE PASSED your Comps exam. I cried sitting there because it was another example that I was a READER. Continuing my story... I was still an IA running Ramona Recommends. I was getting super discouraged. Even though I had an opportunity to long term sub, I still did not have own classroom. I questioned daily if teaching was for me. It was a long four years, but then Jesus spoke to me. 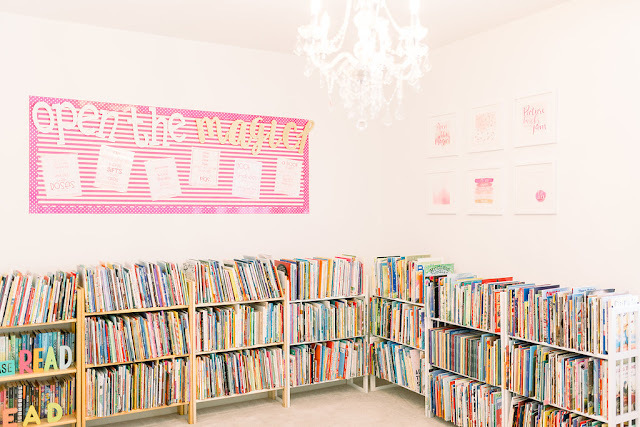 It was a Tuesday night, and I was bawling my eyes out in the old Open The Magic headquarters. My mom tried to reassure me something was going to happen. It was the end of August, and I had received no calls for interviews. The following morning, I was sound asleep and my phone rang. It was the office assistant of a brand new school in my district. Fast forward I had an interview that Saturday and was offered the job on the next day while I was shopping at Nordstrom. You can read all about that journey right here! When I got off the phone with my principal, I literally screamed and ran back into the bathroom to shout the news to my mom, sister, and baby Jayden. I quickly dialed my dad's number to share the good news! I finally had a teaching job after four years of praying and photo copying. Yes, I had Ramona Recommends but being teacher is where I was called. It is now February 23rd, 2019, and I want to share one last confetti moment with you. I am where I am today because I AM A READER. My name is Courtney Hinshaw, and I am a college graduate, a master's degree recipient, a reading specialist, owner of Ramona Recommends, a presenter, a 5th grade teacher in one of the best districts in the United States, and somebody who never gives up! 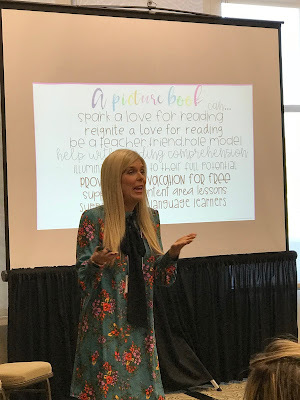 Because I found the love of reading, kept fighting, had teachers who walked this journey with me, and parents who gave me the world I can share my story. Now here is where I want you to read very carefully! Because of all the love and support I had from teachers, parents, and myself, I BECAME A READER! Looking back, I had so many GREAT teachers who told me to keep fighting and they HELPED me succeed in their class: Mrs. Greco, Mrs. Giguere, Mr. Hilts, Mrs. Abelmann, Mr. Amistead, and Professor Summers. It was not over night: in fact, it was over years of tears and practice. The rest of my story is because of the FIGHT. I would not be where I am today without MY STORY. This picture was taken in my fifth grade classroom 2 years ago. Meet Mrs. Abelmann, my 5th grade math teacher. She is now a children's literature author. As much as books were what I feared, I LOVED THEM. 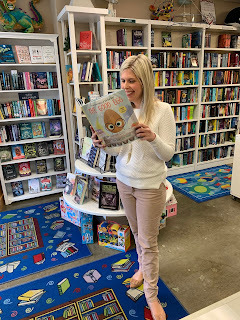 Picture Books are my Jam because they helped me know that words on a page can give you great joy. 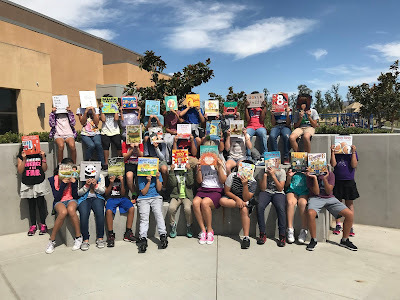 I can promise you all your students would love if you read them a picture book. In closing, when people ask me what I want to do with Ramona Recommends I always laugh. I laugh because sometimes dreaming big scares me. I do not want to let myself or others down. When I first started Ramona Recommends, I did not know where it would go. For years, I would say it is a hobby because I didn’t want to fail. I downplayed it because I was nervous about what I was really doing. Yes, I know I was recommending books, but to me that wasn’t worthy of a side business title. The lies were big and got me. This all changed on December 23rd, as I was sitting in church listening to the song “You Say” by Lauren Diagle. A small voice whispered to me and said YOU ARE ENOUGH, MAKE IT HAPPEN. My mom has always been my biggest cheerleader. She doesn’t know this, but her fight has made me want to fight so hard to share my story. She told me TO LIVE BIG and to be proud of everything I accomplish. I realize I have a BIG story to tell. EVERY KID HAS A CHANCE to become a READER. While I do recommend picture books, it is much bigger than that. I recommend books to help promote the love of reading. 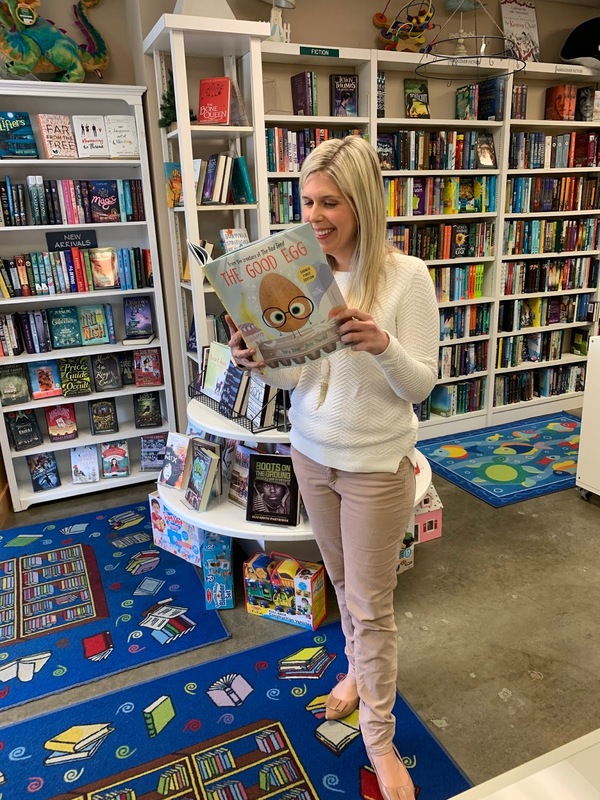 Every kid deserves to find a book that will lead them to a confetti moment. Reading aloud should never stop. Library trips should never stop. Scholastic Bookfairs should be forever! Book store visits should never stop.Books bring hope and love. Books bring confidence. Books help kids become confident caring readers who love books. There is so much magic in my heart. Never give up on your students. Every single one has magic in their heart. Be the teacher who says, "Open The Magic!"